CHISINAU (Sputnik) - The partnership of Moldova and the European Union has obliged Chisinau to join the expulsion of Russian diplomats and demonstrate the country's solidarity with the bloc, Moldovan Prime Minister Pavel Filip said on Tuesday. "Moldova maintains judicial relations with the European Union. We have the Association Agreement and we have partnership with the European Union, which obliges us to solidarity," Filip said while aired by the TV Moldova 1 broadcaster. The prime minister noted that "relations with Russia remain complicated," although the authorities recognize the importance of cooperation. "Russia is a big and strong country, and we are an independent and sovereign state. We want mutual respect. We want to return to a good relationship. We will continue to take care about our citizens who work in Russia and develop economic relations with Russia," Filip added. Earlier in the day, the Moldovan Foreign Ministry said that it was expelling three Russian diplomats in connection with Moscow's suspected involvement in the nerve agent attack on ex-spy Sergei Skripal and his daughter in the United Kingdom. 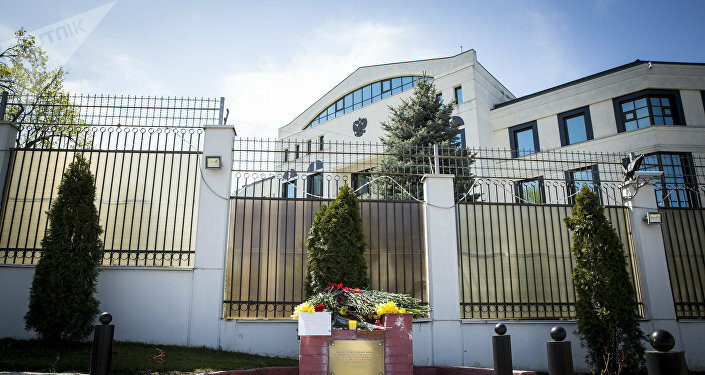 Moldovan President Igor Dodon said Tuesday he was outraged over his country’s foreign ministry’s decision to expel three Russian diplomats. Skripal, a former GRU colonel who also worked for UK intelligence, and his daughter Yulia have been in a hospital in critical condition since March 4. London believes that the Skripals were exposed to the A234 nerve agent, which UK experts have claimed is related to the Novichok-class nerve agents developed in the Soviet Union. UK Prime Minister Theresa May has accused Russia of orchestrating the attack and expelled 23 Russian diplomats, while the European Union has expressed its solidarity with London. More than 25 countries, including the United States and EU member states, have expelled over 150 Russian diplomats in connection with the Salisbury incident so far. Russia, in turn, has strongly rejected the accusations and offered assistance in the investigation. However, Moscow's request for samples of the chemical substance used to poison Skripal has been rejected. In response, Moscow expelled UK diplomats and ordered the British Council to cease its activities in Russia.